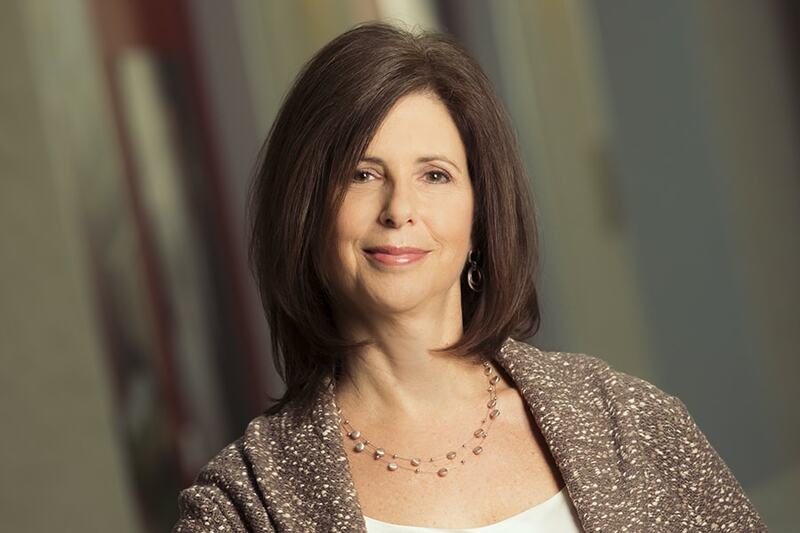 Laurie Weingart, a faculty member since 1989 and senior associate dean of education in the Tepper School of Business, has been named interim provost of Carnegie Mellon University, effective immediately. Weingart's appointment was announced by Farnam Jahanian, who served as provost for two years before his appointment as interim president on July 1. Weingart, the Richard M. and Margaret S. Cyert Professor of Organizational Behavior and Theory, is well known for her research on negotiation, conflict and innovation in teams. She has overseen several academic initiatives in the Tepper School, including the creation of BaseCamp, the immersive MBA orientation program, the Accelerate Leadership Center, and the development of two new master's degree programs. She also is a leader in the Task Force on the CMU Experience. "Laurie brings a rare combination of scholarly expertise, practical experience and deep talents to the Office of the Provost," Jahanian said. "She has developed close working relationships with the deans and with other leaders across campus, which will provide a strong foundation for her new role. Laurie's appointment strengthens an already stellar senior leadership team and I look forward to working with her on advancing our research and educational mission and fulfilling the great promise of this moment in CMU's history." As interim provost, Weingart will work in close partnership with Jahanian, academic leaders and partners across the university community to advance the teaching, research and scholarly mission of the university. Her responsibilities include overseeing academic and budgetary priorities and the hiring and advancement of diverse and word-class faculty. She will provide leadership, expertise and coordination to nurture the personal, professional and intellectual growth of CMU's students, faculty and staff. "I am deeply honored to be appointed to this position," Weingart said. "The research, teaching and administrative experience I have gained at Carnegie Mellon will serve as a solid foundation from which to draw. I welcome this great opportunity to work in collaboration with faculty, students and staff across the university. I'm confident that together we'll continue CMU's endless pursuit of excellence, nurturing the spirit of innovation and entrepreneurship, and creating opportunities for our students to learn and thrive without limits." Weingart joined CMU shortly after receiving her Ph.D. and master's degrees in organizational behavior from the Kellogg School of Management at Northwestern University. Her early research focused on group processes and on social motives and tactical behavior in negotiation. Her more recent research examines cognition, conflict, emotion and innovation in cross-functional teams. Weingart's research has been widely published in the fields of management, social psychology, industrial psychology and cognitive psychology. She served as chair of the Conflict Management Division of the Academy of Management in 2001, president of the International Association for Conflict Management from 2003-2004, and founding president of the Interdisciplinary Network for Group Research from 2007-2012. She recently completed a term as co-editor of the top-ranked Academy of Management Annals. She was elected a fellow of the Academy of Management in 2016.